The Australian Department of Defence has issued a "Request for Information" regarding light helicopters for use in the support of special operations. The helicopter is required to be optimised for operation in urban environment, have the ability to be deployed inside a C-17A and be "capable of being fitted with simple, proven, intelligence, surveillance and reconnaissance (ISR) equipment and weapons systems" according to the DoD document. The desire is for deliveries to begin in 2023 with no required numbers given in the RFI. The requirement for the capability was first announced in a 2016 Defence "white paper" produced by the Australian government. 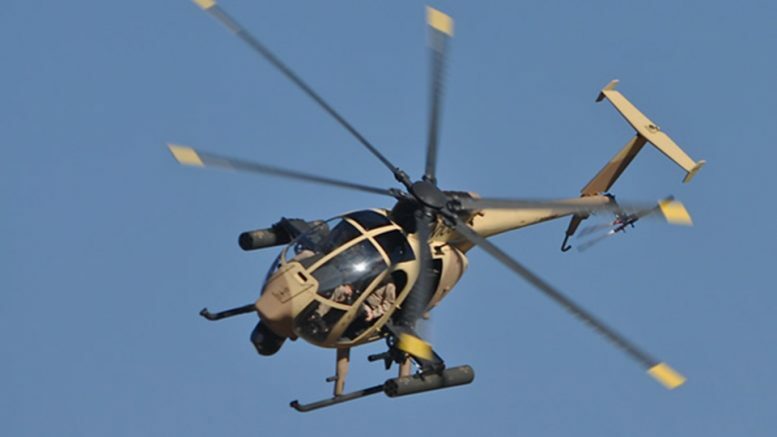 The likely contenders for the contract include the Boeing AH-6 Little Bird and the Airbus Helicopters H-125M.